A Centre of Excellence in Education! We believe in providing a rich, stimulating environment for personalized as well as collaborative learning. This environment is conducive to fostering Academic Excellence and Creative Brilliance. We are challenged at all times with global development and advancement. The school education, being the foundation and the fundamental stage of a child’s development, has to work towards facing this challenge and strengthening a society. The ingeniously designed CBSE curriculum at The HDFC School is in sync with our motto, ‘EDUCATE, EXCEL, EMPOWER’. We follow a non-formal, yet structured approach to learning with a focus on family, home, culture and language. Here, children are encouraged to explore the environment around them, through projects that integrate Art, Craft, Technology, Music and Dance. Besides, the activities are designed such, to develop each child's Fine Motor Skills and encourage Sensory Development. Our vision is to bring in the joy of learning and caring in all aspects. The school promotes creativity, collaboration, inquisitiveness and personal integrity in a blend that fosters success for all students and staff of the school. Our philosophy is and will remain to be a school where every child is the centre of our attention. The group of HDFC Schools is led by our Education Leader, Mrs. Anita Makkar, who brings with her an experience par excellence in the education sector. 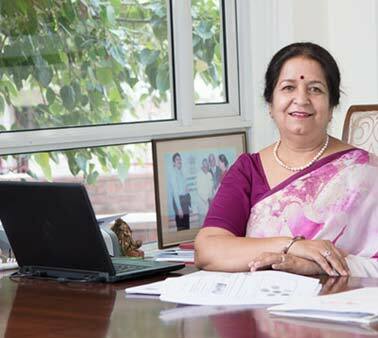 A post graduate in Mathematics from Hansraj College, Delhi University, Mrs. Anita Makkar has been in leadership roles for schools during her enriching career spanning over three decades. An evangelist of exchange of educational ideas and practices internationally, she has travelled widely across Western Europe, Japan, Russia, etc. for that purpose. She has been a Master Trainer with CBSE for CCE, ideator in writing Curriculum content for CBSE, and member of the Inspection Committee for Affiliation to CBSE. Why Choose The HDFC School? We at The HDFC Schools provide meaningful and engaging interactions with the students, empowering them to excel academically, emotionally & socially. The HDFC Schools follow the CBSE curriculum with an innovative pedagogy and holistic approach aiming to take the students a long way in preparing them to be leaders in the 21st century. 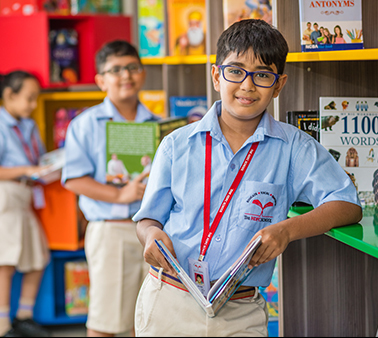 The facilities and infrastructure of The HDFC Schools resonate with its vision, motto and philosophy. Our schools promote creativity, collaboration, inquisitiveness and personal integrity in a blend that fosters success for all students and staff of the school. Our commitment is to be a friend, philosopher and guide in your child’s ‘learning journey’ by providing Education that leads to Excellence which in turn paves the path for Empowerment.